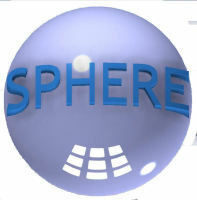 Welcome to Sphere Products. These terms and conditions apply to the use of any area of our website. By accessing this Website you agree to the terms and conditions set out below even if you do not make a purchase. If you do not agree to be bound by these terms and conditions please leave our site as only visitors agreeing to be bound by the terms & conditions may visit us here at Sphere Products. If you have any questions relating to these terms and conditions please contact us using the contact form. 'You' means a user of this Website. By agreeing to these conditions you agree to indemnify Sphere Products and our officers, directors, employees, agents and suppliers, harmless immediately on demand, from and against all claims, liability, damages, losses, costs and expenses, including reasonable legal fees, arising out of any breach of the Conditions by you or any other liabilities arising out of your use of this website, or the use by any other person accessing the website using your shopping account and/or your Personal Information. Sphere Products will not be liable to you or any third party for claims arising as a result of any change to or removal of the Website or part thereof; or as a result of changes to the conditions of use. We may provide links to other websites or resources for you to access (click through to) as you so choose. You accept and agree that, although you have chosen to enter the linked website from our site we cannot be held responsible for the availability, quality or content of these external sites. Sphere Products do not endorse and are not responsible or liable for their privacy practices, any advertising, content, products, goods or other materials or services on or available from them. Please make your own decision before visiting these sites. You submit your order on the web-site by pressing the ‘confirm order’ button at the end of the check-out process. We will then send you by email an order acknowledgement detailing the products you have ordered. This is not order acceptance. As your product is dispatched from our warehouse we will send you a confirmation email. Order acceptance and the completion of the contract between you and us will take place on the despatch to you of the Products ordered unless we have notified you that we do not accept your order (see details below) or you have cancelled it in accordance with the instructions in how to cancel your order below. We consider that order acceptance and the completion of the contract between you and us takes place on the despatch of the products you have ordered. We notify you that we are unable to accept your order - or you have cancelled it in accordance with the instructions shown in Contract Cancellation. The sales contract is completed in the UK and all transactions will be carried out in pounds sterling (GBP). We are able to accept orders that request a delivery address outside of the UK, however all our prices are shown in Great Britain pounds (GBP) and use the recognised ‘£’ symbol. Please note that you are entitled to cancel this contract if you so wish provided that you exercise your right no longer than seven days after the day on which you receive the Products. Orders are normally processed immediately so we may have already packaged your order and made arrangements for it to be sent to you. If this is the case then we cannot always stop the order from being sent. Once you receive the order, you will have to return it to us within 28 days of delivery (see our Returns section for further details on our returns policy). If you wish to cancel the order within 7 days after delivery, we will refund the cost of the item but not the cost of delivery. We are confident that you will be delighted with any product purchased from us but if you wish to return an item to us, then we’ll try to make it as easy as we can. Any item may be returned for any reason within 7 days of the date of despatch so long as it is unused, undamaged and in original packaging. We will refund the price of the item and cost of delivery to the purchaser but the cost of carriage to return the unwanted item to us will be at your cost. We will keep you informed about the progress of any replacement products. If you would like to request a return, please send an email to using the "contact us" form outlining the item you would like to return, your original order number and the reason. Please tell us if you would like the product exchanged or refunded. Please package the item securely for transit, using the manufacturer`s original packaging if available, and remember to enclose all the individual items that combine to make the product complete. Once we have received and processed the returned item we will process the refund or despatch the replacement item. Each item offered for sale on our website is sold on the basis of the product description and related photograph. The description may outline additional conditions that relate to that item in particular. These may include but are not limited to, additional terms and conditions concerning estimated delivery dates, times and guarantees. We endeavour to ensure that all descriptions, prices and other details of items appearing on Sphere Products are correct and as up to date as possible. However, any information appearing on Sphere Products may not always reflect the position exactly at the moment you place an order. We cannot confirm the price of a Product until your order is accepted in accordance with our Order acceptance policy. In the event of changes in product range we reserve the right to substitute a replacement product, on a like for like basis. If the new product is of a lower value than the original a refund will be made, no charge is made if a higher value substitution is made. The total amount payable is the price of the items ordered plus any delivery charges as set out in the Delivery section of this Website. All payments are made via PayPal. Or from your PayPal account. Payment security is handled by PayPal and their secure payments/SSL we do not hold any of these details. Each parcel sent to you will contain an invoice which acts as confirmation of payment. All credit/debit card transaction carried out by PayPal are validated by PayPal. We will not dispatch your order until we are informed by PayPal that payment has cleared. We cannot be held liable for non-delivery. We reserve the right to amend, alter update or remove items or products from this site at any time. We may, at our discretion, decline to process a transaction for any reason. If we amend, alter update or remove items or products, or if we refuse to process a transaction or decide to unwind or suspend any transaction after processing has begun we will not be held liable to you or any third party. Unless otherwise agreed by us we will only ship to the address given to us by PayPal. Under English law, in order to purchase items on the Sphere Products website and form & enter into contracts on this site you must be over 18 years of age. The content of our site, sphereproducts.co.uk, is protected by a mixture of copyright, trademarks, database and other intellectual property rights. You may retrieve and display the content of our site on a computer screen, store such content in electronic form on disk or print one copy of any such content for your own personal, non-commercial use. You agree not to otherwise reproduce, modify, copy or distribute, publish or use for commercial purposes any of the materials or content on this site without our written permission. We disclaim any and all warranties of any kind, whether express or implied, in relation to the products and services provided on this site, to the maximum extent allowed under the applicable laws of the UK. We will also not be liable to you/or any third party for any consequential loss or incidental damages (including but not limited to loss of income however derived, wasted expenditure, loss of privacy and loss of data). This does not affect your statutory rights as a consumer, nor does it affect your Contract Cancellation Rights. Sphere Products will use all reasonable endeavour to ensure any information we place on our site is accurate and of high quality but we make no warranties, whether express or implied in relation to its accuracy. Sphere Products cannot be held responsible for the results or for any technical problems you experience as a result of using the modeldisplayproducts.co.uk site. Please inform us of any errors or omissions and we will endeavour to correct them as soon as is possible. We also disclaim all & any liabilities in connection with technical problems including errors to or interruption of access to the sphereproducts.co.uk site, inaccuracy, reliability of the site, not meeting your expectations or proving unsuitable or inadequate. However the previous paragraph does not apply to products and items sold online at modeldisplayproducts.co.uk nothing in the Conditions shall exclude or limit our liability for death or personal injury resulting from our negligence or that of our servants, agents or employees. If any single part of these conditions should for whatever reason is considered to be unlawful, void or for any reason inapplicable, then that provision shall be severable from the conditions and that all the remaining provisions of the conditions still apply in full. These conditions are governed in accordance with the laws of England and in accepting these terms & conditions you fully accept the sole jurisdiction of the courts of England.